The naturally-occuring chemical in cannabis has been shown to have a bunch of benefits. Cannabidiol, also known as CBD, is a naturally occurring chemical found in cannabis. It is one of the most highly concentrated and studied compounds among the more than 100 compounds, or cannabinoids, found in the plant. While it does not cause users to get high, cannabidiol does make them feel better. 1. It's been shown to have health benefits. 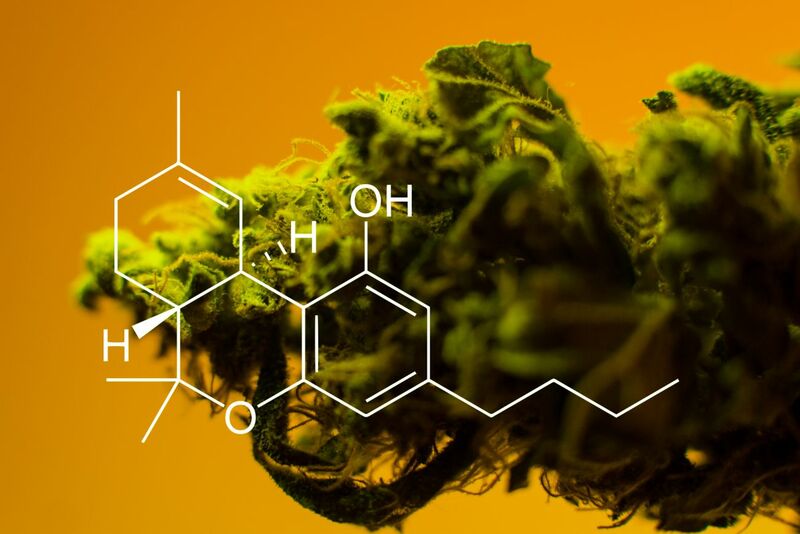 Although cannabidiol still requires further study to know all of its health benefits, scientists have been able to pinpoint some of the medical uses of the compound. CBD can help treat nausea and vomiting, making it a useful choice for cancer patients. Cannabidiol may also help shrink the growth of cancer and tumors. It may help people who suffer from psychoses, anxiety, and depression. Inflammation and neurodegenerative effects, such as those with Alzheimer’s disease, may be reduced through the use of CBD. Oil made from the compound could even be used to treat forms of epilepsy in children. Its calming effects are also useful for people with social anxiety disorder. Sleep disorders, schizophrenia, and glaucoma may all be cured one day after more studies are complete regarding cannabidiol. Some popular strains of cannabis grown with increased CBD levels and little THC content include AC/DC and Charlotte’s Web. Island Junk and Hawaiian Dream are also high in cannabidiol. 2. It doesn't get you high. The psychoactive effects of cannabis are usually due to the presence of the compound tetrahydrocannabinol (THC). Some of these, such as paranoia and increased levels of stress, may be negated by the balancing power of cannabidiol. The chemical can help increase feelings of calm and self-awareness to make it safer for patients to use cannabis for medical treatment without risking common side effects. Since each patient reacts differently to treatment, some may experience different effects that can occur during cannabis consumption. 3. You don't need to smoke it. Smoking is not a requirement for using cannabidiol. In fact, the ingredient can be utilized from a variety of products. The most common of these is cannabidiol oil, followed by cannabidiol pills. Many patients who use CBD do not smoke but use a medicine dropper to deliver their medication to their bodies. Pastes, capsules, sprays, and salves are also available, providing consumers with many choices. Cannabidiol oil can even be used in vaporizers. Patients should begin with small dosages before increasing the amount of CBD taken daily. 4. It's being grown selectively. 5. It doesn't always require a prescription. You can order CBD made from industrial hemp plants online in any state without a prescription. But if you order CBD products made from medical marijuana plants, you have to live in a state where medical marijuana is legal and have a prescription.